Asia’s Next Top Model Cycle 4 has finally chosen its 14 contestants, and one of the lucky girls is a Malaysian of Malay ethnicity named Tuti (real name, Nuraini Noor), who is the first ever Malay to compete in the famous modelling-based reality TV show. 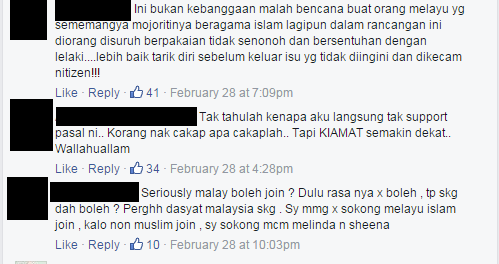 However, her participation was not so well received by some netizens after finding out that she is a Muslim. Harsh and rude comments were thrown at her after the local entertainment portal, My News Hub shared the seemingly “good” news. 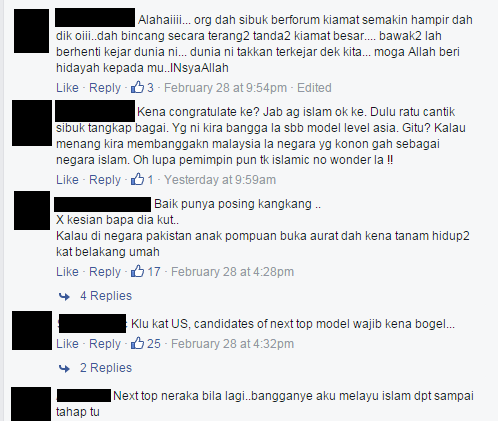 Most of the netizens argued on why the 24-year-old Malaysian was even allowed to enter the competition despite being a Muslim, as Muslims are supposedly ‘banned’ from entering such competitions where the contestants are required to expose their bodies. 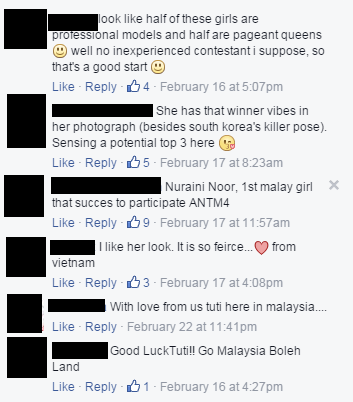 Nevertheless, several netizens wished Tuti good luck and hope that she can go far in the competition in representing Malaysia. 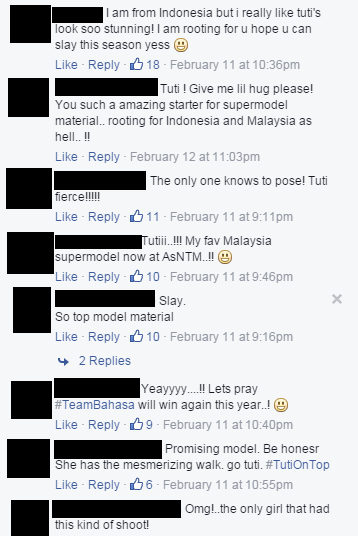 Tuti is the only Malaysian that has made it to Asia’s Next Top Model Cycle 4. In Cycle 3, two Malaysian contestants, Shareeta Selvaraj and Melissa Tan Li Hsia – made it into the competition but got eliminated in episode 1 and 7 respectively. 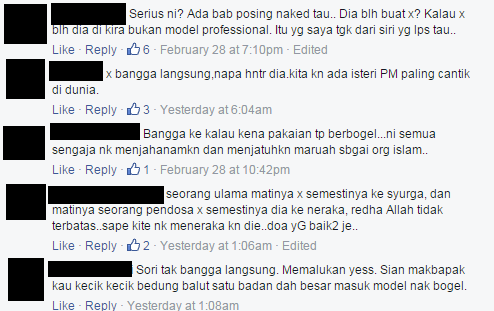 Also, this is not the first time that Tuti has joined a modelling competition. She previously won the X Top Model Search Malaysia 2012 and is the winner of the X Walk. AsNTM Cycle 4 will premiere on Astro’s Star World channel (Channel 711) on Wednesday, 9 March 2016 at 8pm. Check out all the other AsNTM Cycle 4 contestants.